Ulster beat Leinster 5-3 to win the Women's Interprovincials as Leinster claimed Girls' crown for the third year running with a 6-2 win over Ulster at Castle Dargan in Sligo. The Leinster Girls won 18.5 points from a possible 24 with Emma Fleming ensuring her team could not be beaten by closing her match against Rebekah Gardner 4&3. The 13-year-old from Elm Park looks like one to watch and already has a multitude of experience under her belt including a victory over Senior International Lauren Walsh in last week’s Leinster Girls’ Championship. In another highlight, Connacht’s Chloe O’Connor holed her 121-yard pitching wedge on the par 3 11th for her first hole-in-one as opponent Anna Dawson looked on in awe. 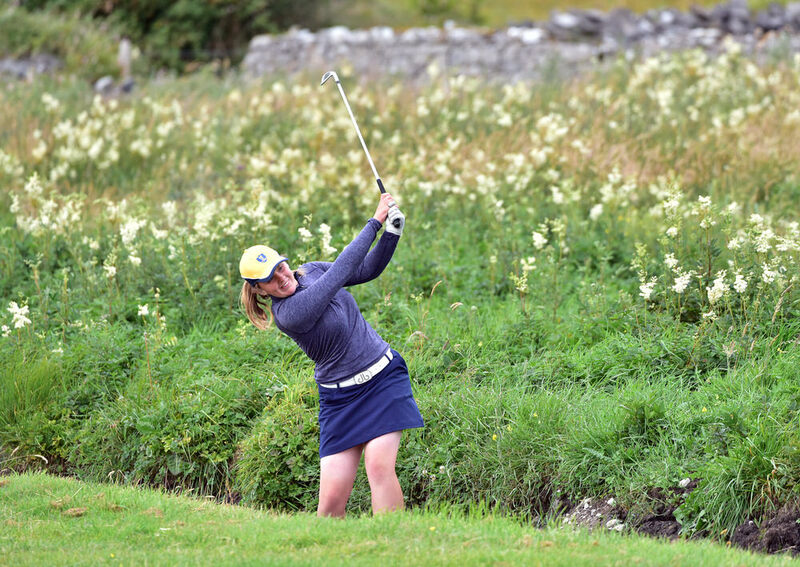 The women’s matches were a much tighter affair and although Leinster had clinched two of the morning foursomes, the teams were tied with 10 holes to go. 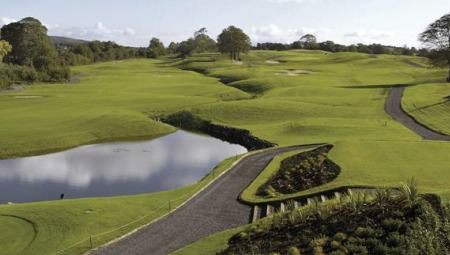 Wins for Lucy Simpson and Louise Coffey swung the tie in Ulster’s favour and when Jessica Ross and Chloe Weir duly followed, another win for Ulster at Castle Dargan was confirmed. “We had nice memories coming back here again for Interpros after five years,” said Jessica Ross, who was on the winning team in 2013. Connacht and Munster halved the other tie and finished on equal points to share third place behind Leinster. N McSherry & M Cummins bt M Dowling & D Walsh 5&4. McSherry lost to Casey 1h. P Walsh & A Walsh bt C Staunton & Sarah Burke 2&1. A McVicker & O McCrystal lost to E Fleming & K O’Hart 5&4. O’Hara lost to O’Hart 1 holes. S Hegarty & E Walsh bt A Greham & K Coleman 2&1. Final: 1, Leinster 3pts; 2, Ulster 1pt; 3, Connacht 1pt; 4, Munster 1pt. Castle Dargan in Co SligoLeinster took a huge step towards retaining the ILGU Interprovincial Matches with a 6-3 win over Munster at Castle Dargan. 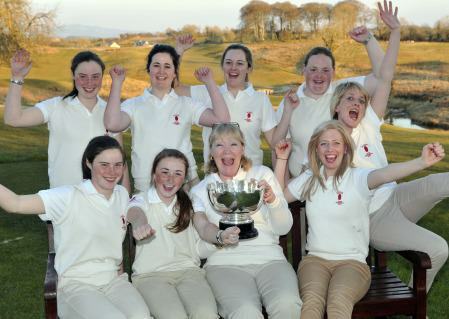 Ulster won the 2013 Women’s Interprovincial Matches at Castle Dargan. Picture by Pat CashmanUlster edged out holders Leinser for the Women’s Interprovincial Matches by virtue of their greater tally of matches won - 20 to 19.